So welcome to part two of our review of 2017! Part One which contains January to June can be found here! So we come back to the Review starting in July! July started with mummy and Freddie attending the Baby Brunch at Intu Metrocentre where we had a lovely morning meeting two of the Metro Gnomes. We also wrote about James finishing reception at school. We also shared some more information about things we had got for James fifth birthday. Freddie also turned 20 months old in July! August was the month that James finally turned five! We also went to Warkworth Village show, which was a brilliant day out! We had a wonderful family day out for James birthday and actually ended up with a family BBQ! September and James went back to school and started in Year One! Mummy and Freddie attended the Bloggers preview of The Simply Small Co store in Newcastle Grainger Market. 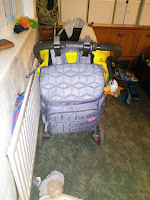 James also got to review the awesome Kinetic Rock play set which he adored and totally covered the kitchen floor in the rock! 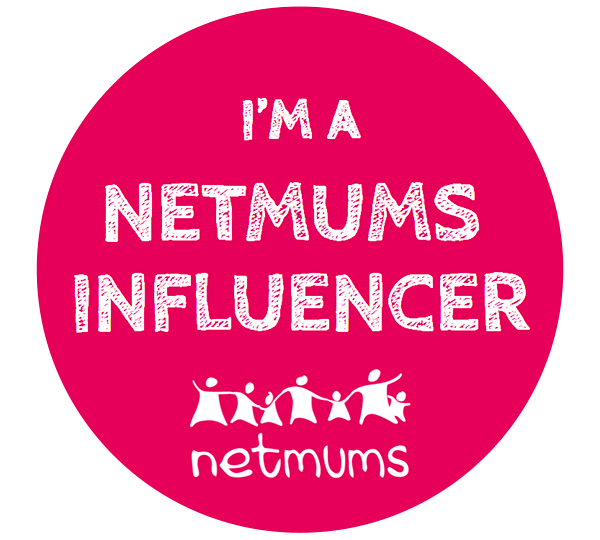 October saw mummy attempt to do Blogtober again and this year I got 19 days in! Next year I have great plans to actually get posts scheduled to go up earlier and write posts earlier! We also reviewed the fantastic book "Who Hides Here? Footprints in the Garden" James loved this book as he loves being outside and his favourite thing to do at school is forest school in the school garden! 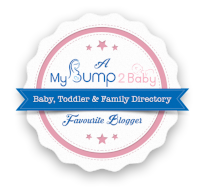 November saw us post reviews of Letter to Santa, Pao Papoose and Cuddleroar to name a few! But the biggest part of November was our little Freddie Bear turned TWO! Sadly though the poor little man actually had a sickness bug on his birthday and spent the whole day curled up in his pj's on the sofa! Mummy and Freddie also attended the open day at the playgroup we have put him down to start in January! It will only be a couple of sessions a week but it will give mummy two free afternoons (or mornings) to get things done in the house and work without little hands trying to help! And so that brings us to December. The final month of the year! It really does not seem five minutes since it was last Christmas so for it to be here again already it is crazy! In December we posted a competition to win a signed Freya Morgan Print. 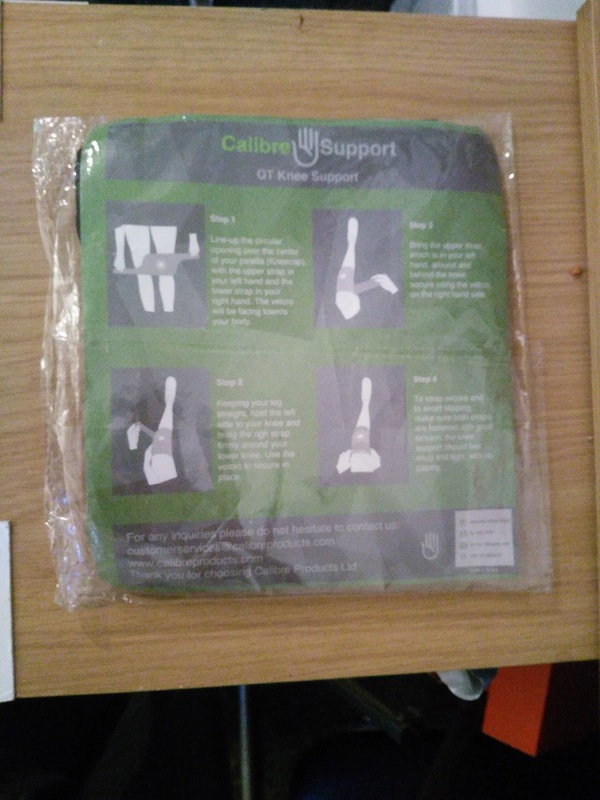 We also wrote about the calibre products knee support and how it was helping me to deal with the pain I get in the winter from an old knee injury! We also did an update on how James is doing at school now he is in Year One and its a more structured learning compared to Reception where it was more learning through Play! We sadly end the year mourning the loss of Andy's lovely nanny who died on Christmas Day, not even an hour after he spoke to her on the phone. She was a fantastic lady who was 105. We will miss her very much and all the wonderful stories she used to tell us, especially the ones about Andy's mum growing up! So that was the end of our 2017! We have so much planned already for 2018 including a trip to Surrey to see Nanny and Pappy, a day out in London so James can see all the places he has learned about in school and of course our first family holiday to Majorca! 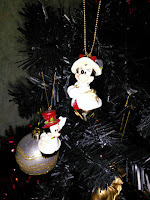 As it's nearly Christmas, I thought I would share some of the special decorations we have on our tree. First off we have our Mickey and Minnie. 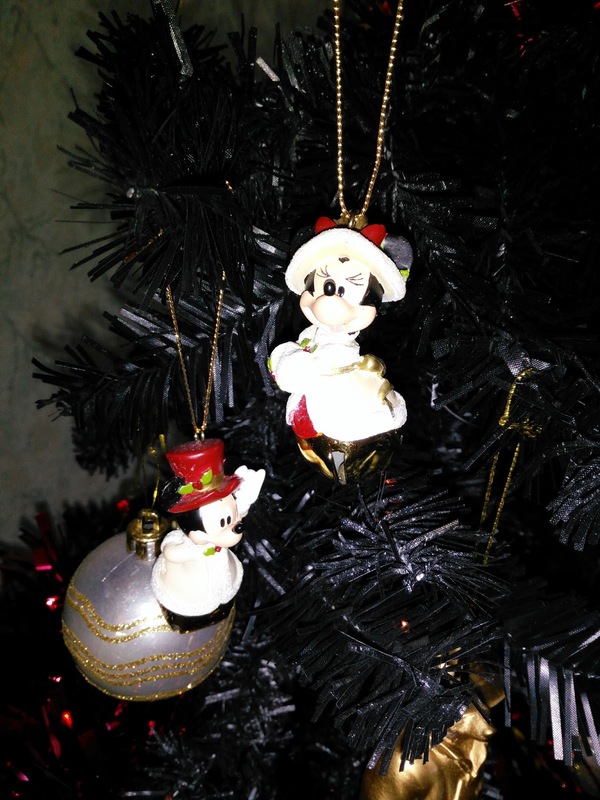 We bought these in magic kingdom at Walt Disney World on our honeymoon.Walt Disney World has a Christmas shop all year round which we adored! We could have spent a fortune in there, but we settled in these adorable little bells. 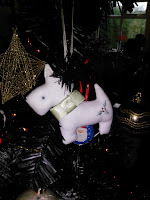 The first year they went on our tree was Christmas 2012 as it was our first as a family of three with James, who was four months old. Next we have our little westie. We bought this in 2014 in memory of my dad's auntie who had died earlier that year. She used to have a westie and loved everything westie related so getting a westie in memory of her was the logical thing. When I found this in our local John Lewis I knew I had to buy it. It was Moyra all over and I think it would have been something she would have probably bought for her own tree as she loved Christmas! Then we have our gold star. 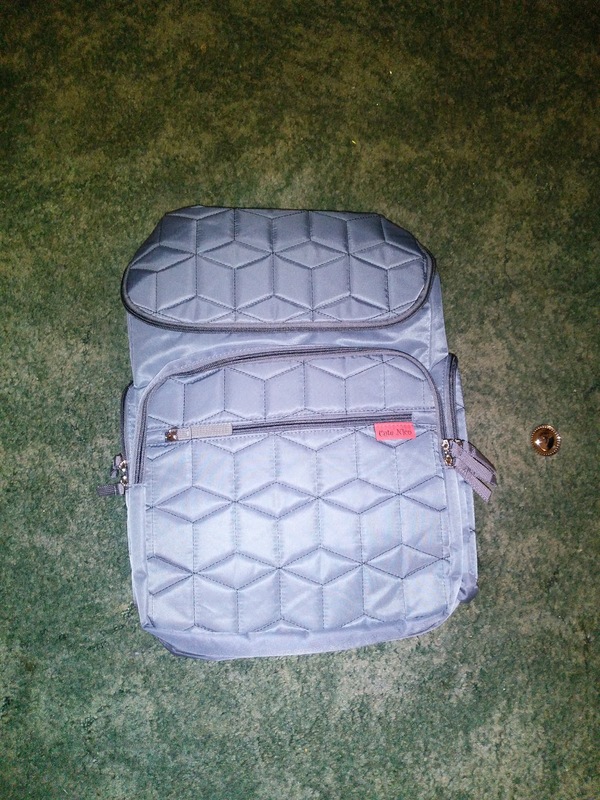 This was also bought in 2014. This was bought in memory of my Nannie who we lost in the May of that year. James was extremely close to her and when she died we told James she had gone to be a star in the sky. James chose this on a trip to Tesco with mummy one weekend. Even now almost four years on James still tells me that Nannie is his star in the sky and he loves her. 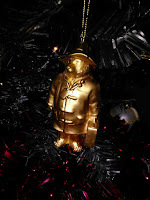 This year we have added a gold Paddington Bear to our tree. The new Paddington film came out a few weeks ago and the local Fenwick department store has its Christmas window as Paddington themed so adding a cute Paddington Bear to our tree made sense. So these are the special decorations on our tree. 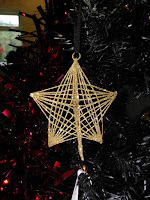 Do you have any special decorations on you tree that have special meanings? Let us know in the comments below! 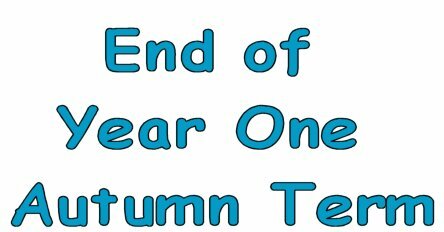 So today is the last day of the Autumn Term at school for James and its also the end of the first term in Year One! I'm going to be honest and admit James didn't have the easiest time in Reception last year, He found it very challenging and I was terrified at how he was going to deal with going into Year One where they have a much more structured time table of lessons, where as Reception it was very much learning through play. In Year One they only get one hour a week of free play and that is last thing on a Friday afternoon. I have been so surprised at how well James has adapted. He has a new found love for reading and has had over thirty books this term alone where as in Reception he had about ten in the whole year! He also loves drawing pictures and writing his numbers! They have been learning about the Great Fire of London this term and James is totally fascinated by it and he is so excited that we are going to spend a day in London in February half term! He says his favourite things to do in school are reading, number work and playtime! I don't know where he gets his love of maths from as mummy has always hated it and not been very good at it!! He has also had his forest school sessions this term which he has absolutely adored! One day a week they would spend the morning in the school secret garden learning fantastic skills ie cooking on a campfire and building the fire. They even made nettle pancakes which James loved! We had parents evening a couple of weeks ago and his teacher said how proud she was of him and how well he has adapted. We go to look at his books and we saw such a difference in his handwriting in just a few weeks. I really hope this attitude he has towards his school work continues into the rest of the year! Well Done James we are all so proud of you! As a busy mummy with two boys aged five and two, a big bag is a necessity! However I prefer a stylish but practical bag as I am definitely not a girly girl and don't really like fancy bags! 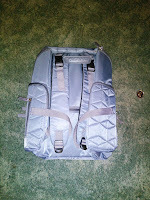 I much prefer a backpack especially for when I am out and about! I find it much easier to wrestle a toddler from his pram at sure start with a backpack on my back than a bag slung over my shoulder! 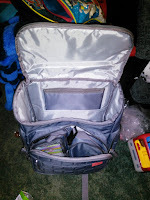 When Cute Nico got in touch and asked if we would like to try out there backpack I was thrilled especially as next year we have two big trips coming up involving a lot of travelling! 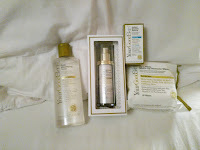 When I first opened the box I was so impressed with the size of the bag. As a mum of two boys aged 5 and 2 I certainly carry a lot when we are out and about. 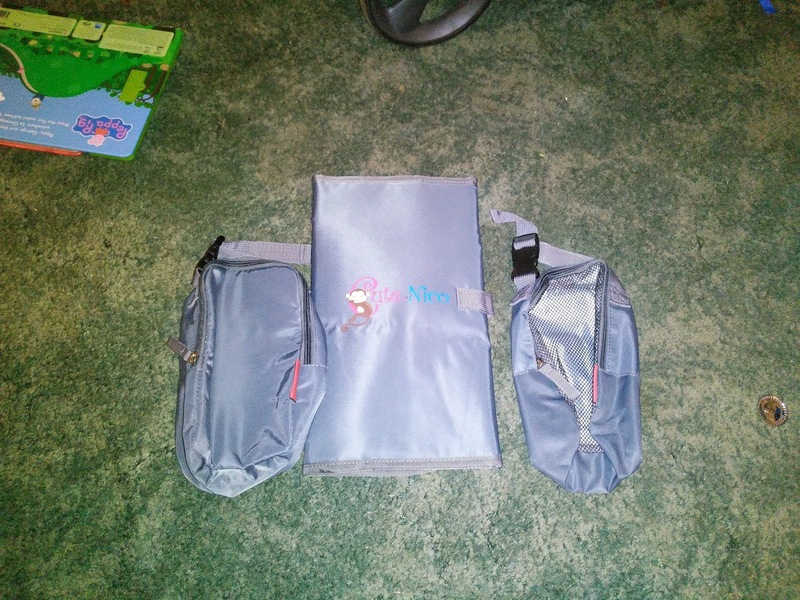 The bag comes with two smaller bags that fit into the front pocket of the bag. One of these is a mesh bag and the other is insulated. 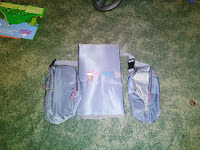 In the mesh bag I have two pull ups, some nappy bags and two small packets of travel baby wipes. In the insulated bag I have put some of Freddie's snacks in but will add in his water cup or milk when we go out! The bag comes with a huge changing mat which I love as Freddie is not the smallest two year old! 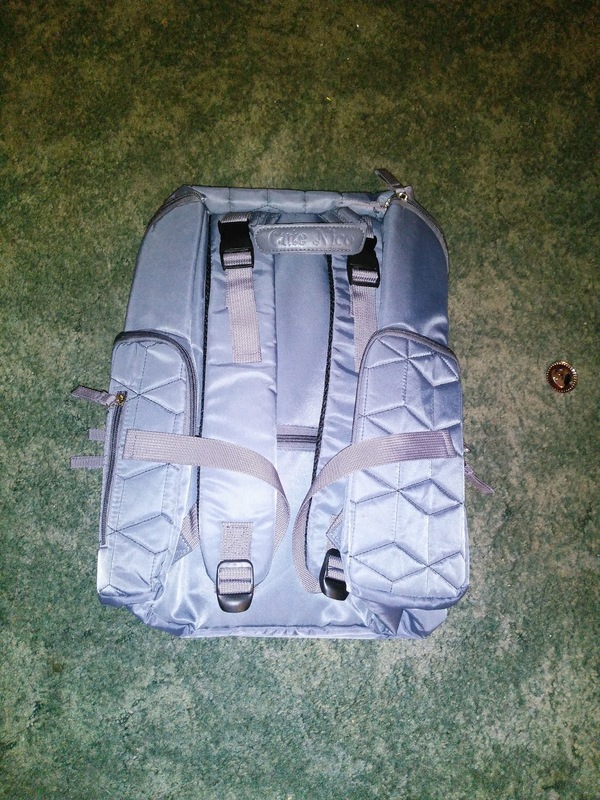 This fits perfectly into the pocket inside the main part of the bag. In the main compartment I have a change of clothes for Freddie and his inhaler with spacer. When James is with us I will add in some spare clothes for him as well! 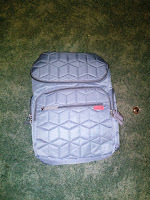 Overall our first impressions of the Cute Nico backpack have been brilliant! Check back in January to see how it fares on days out over Christmas holidays with two boys! 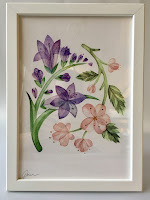 Win A Framed Signed Print by Freya Morgan! 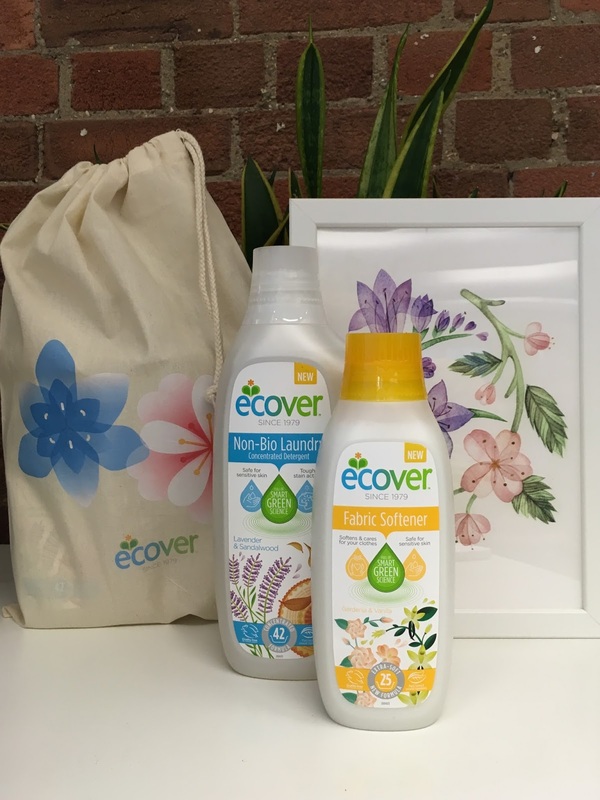 A few months ago, I worked with Ecover as part of their limited edition Laundry detergent. 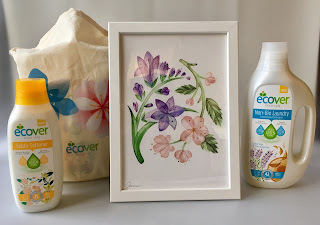 The illustrations on the bottles were done by Freya Morgan, an incredibly talented illustrator. 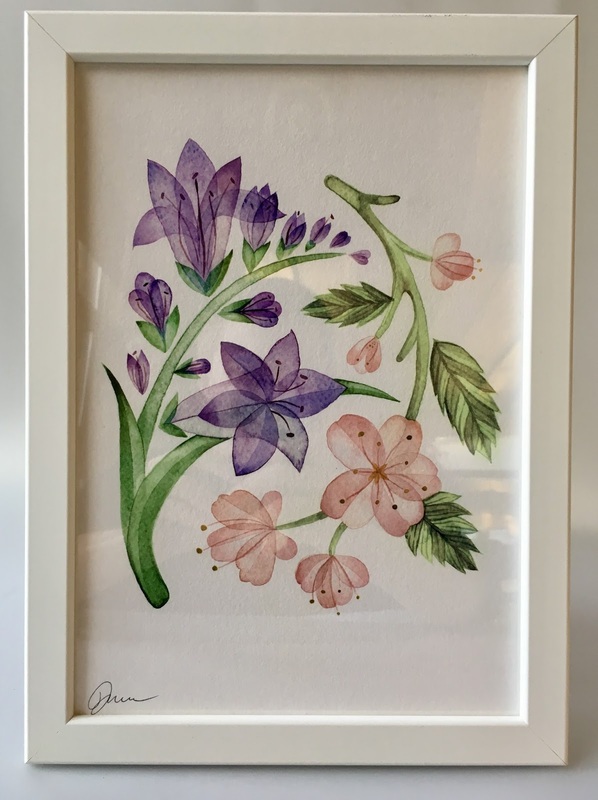 I have a limited edition, signed, framed botanical print of the illustration to give away, which is absolutely beautiful. This would make a wonderful Christmas present or maybe even to put on your own wall! I absolutely adore the print on the bag as it is simply adorable. 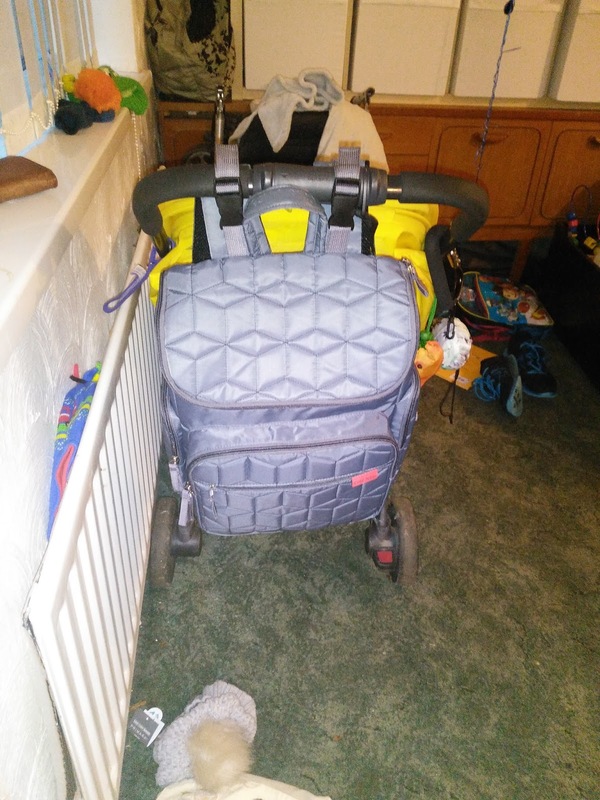 I actually use the bag to keep things in under our pram as being a mum of two boys I carry a lot of things I don't really need! I know that I would love to have something like this on my hallway wall or even my lounge (when it finally gets redecorated!!) I think this would look lovely on the wall in a little girls bedroom or nursery. The winner will receive the signed, framed print as well as the lovely bag with the washing detergent and fabric conditioner. I absolutely love using the Ecover products and they make James school uniform smell lovely! The bag we have is just a lovely print! 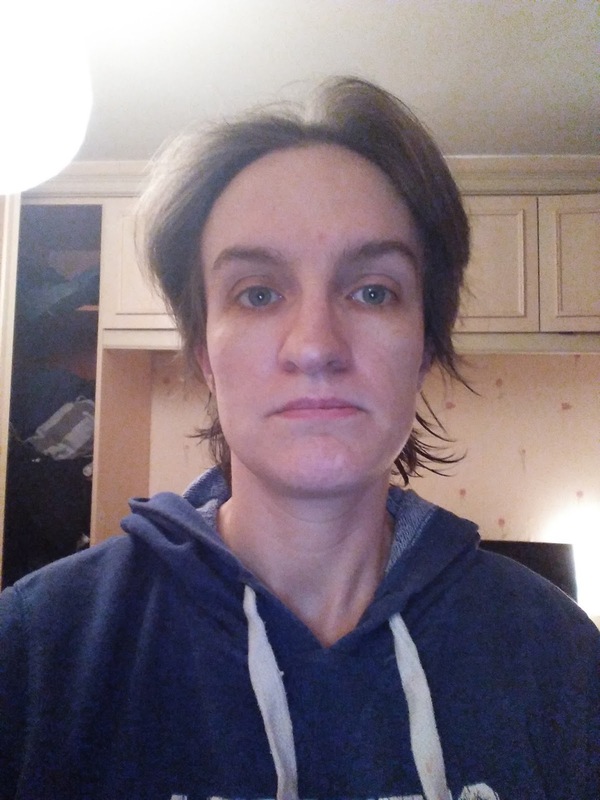 Ever since I injured my knee when I was 15 I have suffered badly when it was cold with pain. Since that first injury I have suffered two more major injuries and have been on crutches twice. For me winter is the worst time of year for suffering pain, The cold makes my knee joint ache and feel so sore when I'm walking around or playing with the boys. So when Calibre Products got in touch and asked if I would like to try out one of their Knee supports I jumped at the chance! Ever since my worst injury where I put a minor tear in my cruciate ligament, the pain in the ligaments has felt so much worse! I absolutely hate the cold and sometimes I have to rely on either deep heat cream or little heat packs on my knee when I go out and about. Calibre say "The Calibre Support Knee Brace is an ergonomically designed support that aids you on a day-to-day basis providing stabilisation for sporting, occupational or leisure activities. Manufactured from high quality breathable neoprene, it provides great heat retention to nurture the healing process. Lasting long into the future." 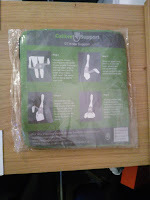 The Calibre knee support is an open patella and it is strapped around via strong velcro. I have found that I have to tighten the bottom velcro before the top otherwise it can slide down my leg! 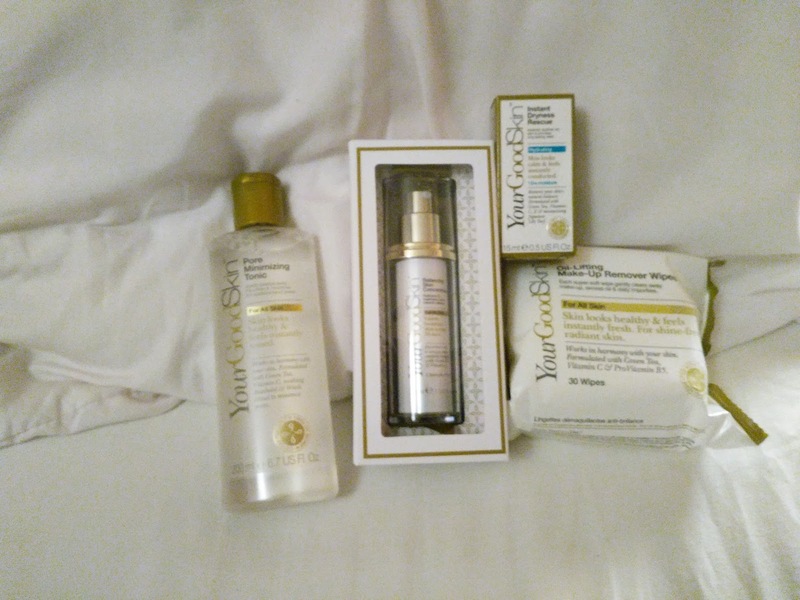 But over all this product is absolutely brilliant, it helps me to manage the pain I get in cold weather by keeping my knee warm and supporting it. I wear it most days especially on the school run as it is freezing cold! By wearing this knee support I can do so much more in the winter! Everything that it says in the description is true! It definitely retains heat which means I have not had to use any of the heat creams to help my knee when out and about. It gives my knee the support it needs when walking and running after Freddie and James! The product is available to buy for £9.90 on Amazon. Over the last year, Freddie has had a number of issues which we think are related to his intake of dairy. Freddie was a brilliant baby, He slept well and had none of the issues with bring up his feeds like James did as a baby, then he hit ten months old and he had a nasty sickness bug and virus. After that his sleep went out the window and became terrible. As he turned one we tried to swap him from baby formula onto cows milk and straight away we had issues. He got constipation and literally didn't sleep at all well. We tried a few times and every time we had the same issues. We kept Freddie on formula milk till he was eighteen months old as our GP said and then slowly moved him onto green top milk. We still had major issues with his sleeping, but then we had constipation issues start! We even ended up at local hospital as he hadn't gone for a few days and he was in agony. The doctors prescribed movicol, but even with that there was still days when he didn't go and if he didn't, then he didn't sleep! Now Freddie is two and lately he has been sicking up his milk, so we made up some milk, which was half milk and half water! Since we started giving this to him, he hasn't needed any movicol at all!! His sleep has also been so much better! So now after seeing a different GP who asked if there was any family history with dairy issues (yes there is! ), has suggested cutting as much out of his diet as possible which is what we are now trying! He's getting watered down green top milk in the morning and at night but there rest of the time he is getting water to drink, but we are looking for other drinks to give him and maybe an alternative milk to try! Another thing we need to try is new snacks! Freddie loves his fruit covered yogurt bites but since they actually contain dairy we have to stop giving them to him! So if anyone has any ideas of snacks we can try that are not too fiddly for me to make or any apps we can try to help us buy him snacks then please email us!